She is a single mom and was raised in a military family. Deb is a graduate of University of New Mexico (UNM) and UNM Law School; and, her daughter Somah graduated from UNM in May 2017. She is an enrolled member of the Pueblo of Laguna. Dutch Haaland, Deb’s father, who was a 30-year career Marine, is buried at Arlington National Cemetery for being awarded the Silver Star Medal for saving the lives of Marines in Vietnam in 1967. Deb's mom served in the Navy, and met and married Deb's dad while they were both stationed at Treasure Island. 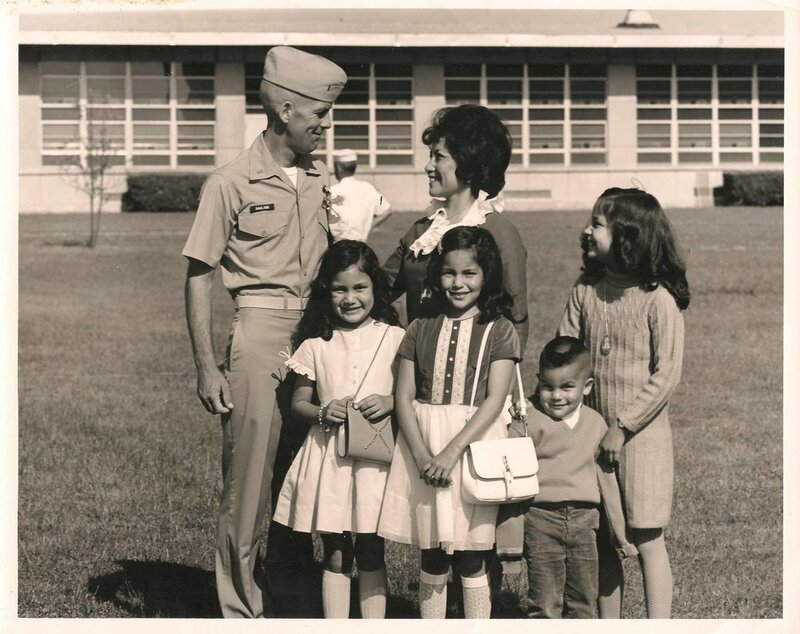 Being raised in a military family that moved around a lot, Deb was very close with her siblings. Her oldest sister Denise has raised a ranching family right here in New Mexico; her sister Zoe is a Registered Nurse and works with heart patients; and, Deb's brother, Judd, owns his own construction company. In January 2016, Deb was appointed as an Honorary Commander of Kirtland Air Force Base to help create a better understanding of its missions - and the U.S. Air Force as a whole - among the community at large. She has a long history of service to Democratic candidates & PROGRESSIVE CAUSES. Deb was the Democratic Lieutenant Governor nominee of New Mexico in 2014. Deb served for one year (2012-2013) as Native American Caucus Chair for the Democratic Party of New Mexico (DPNM). She was the New Mexico Native American Vote Director for Organizing for America NM (OFA NM) in 2012. Deb was the Native American Vote Manager for the Diane Denish gubernatorial campaign in 2010. Deb volunteered full-time for Barack Obama’s 2008 campaign. A proud 'Emergista', Deb graduated in 2007 from Emerge New Mexico - a leadership training and development program with the goal of increasing the number Democratic women in public office. Deb has volunteered for dozens of local and statewide Democratic campaigns, and for over a decade has worked to engage the Native American community as voters and active constituents. In 2005, Deb led passage of SB 482 in the New Mexico Legislature, which she authored to allow members of New Mexico Indian tribes in-state tuition at higher education institutions - regardless of their residency. In 2017, Deb partnered with state LGBTQ civil rights leaders to help pass a ban on Conversion Therapy in New Mexico - one of few progressive legislation signed by the Governor. SHE IS the first Native American Woman in the country to Chair a state party. In her term as state party chair, Deb led New Mexico to be one of only two states in the country to flip its State House from red to blue. She also helped to secure an 8-point victory for Hillary Clinton over Donald Trump. As state party chair, Deb balanced a deficit budget and created a management team that remains stable and productive. When Trump called Sen. Elizabeth Warren 'Pocahontas', Deb spoke out nationally; when Trump came to New Mexico, Deb stood in front of his rallies and events to protest his agenda and hold him accountable. Deb traveled to Standing Rock and stood side by side with the Standing Rock people. Putting action to values, Deb led the divestment of the Democratic Party of New Mexico from Wells Fargo due to their significant investments in the Dakota Access Pipeline and for-profit immigration detention facilities. SHE IS A RECOGNIZED LEADER IN TRIBAL BUSINESS & SERVICES COMMUNITIES. Deb was the first Chairwoman elected to the Laguna Development Corporation Board of Directors, overseeing business operations of the second largest tribal gaming enterprise in New Mexico. Deb successfully advocated for the Laguna Development Corporation to make policies and commitments to earth-friendly business practices. Deb is a former tribal administrator and has administered a local service provider for adults with developmental disabilities.